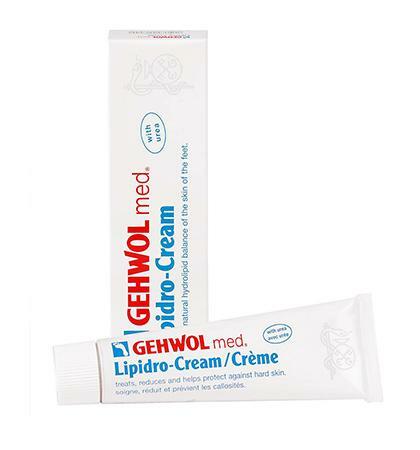 Gehwol Med Lipidro Foot Cream compensates for the lack of lipids & moisture and naturally balance the protective properties of the skin. 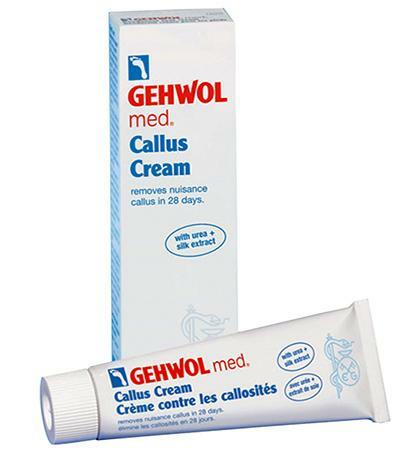 Urea binds water in the deep skin layers while Calluses are softened and excessive reformation is reduced. Sea buckthorn oil and avocado oil with a high amount of unsaturated fatty acids supply dry, thirsty skin with the lipids it lacks and prevents the loss of moisture through evaporation. 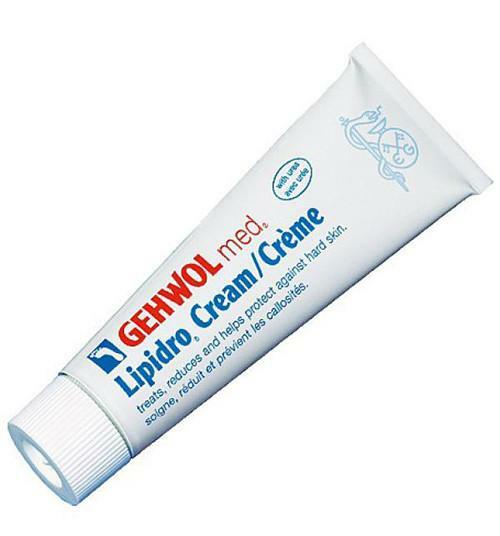 The cream also helps protect against itching and fungal infections. 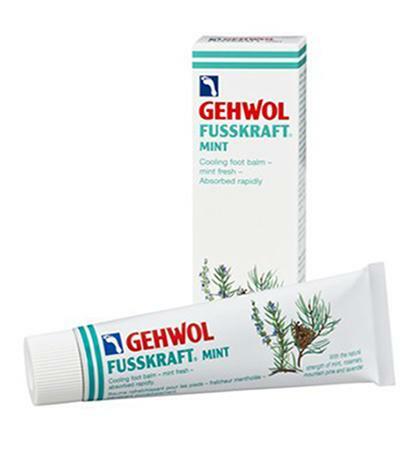 Apply regularly to the affected areas twice a day. Rub into the skin until completely absorbed. Urea 10%. Water, Glycerin, Polyglyceryl-3 Methylglucose Distearate, Isopropyl Palmitate, Persea Gratissima Avocado Oil, Octyldodecanol, Glyceryl Stearate, Cetyl Alcohol, PPG-3 Benzyl Ether Myristate, Myristyl Myristate, Triethyl Citrate, Hydrolyzed Algin, Phenoxythanol, Farnesol, Methylparaben, Hippophae Rhamnoides Extract, Xanthan Gum, Gaprylyl Glycol, Allantoin, Ethylparaben, Propylene Glycol, Chlorella Vulgaris Extract, Maris Aqua, Chlorphenesin, Butylhydroxytoluol, Ascorbyl Palmitate, Citric Acid.